Boasting one of the best views in town, the Oxo Tower Bar is perfect for combining a spot of leisurely (if static) sightseeing with some classy drinking. The commanding panorama, which takes in the capital, rivals the views from the London Eye and is best experienced from the hours just preceding dusk till dark. There's a great cocktail menu which is well worth working your way through and a live jazz pianist on hand to keep the drinks flowing smoothly. Slick and sophisticated décor comprises sparkling blue neon lights embedded in a sloping, slatted ceiling with leather banquettes and cool slate tables. Elevated up on the 8th floor of the building, you have to get the lift up to the bar - the lift entrance is at the back of the tower. When you step out of the lift, make sure you take in the view immediately ahead if you. Looking out away from the river onto the residential streets of Southwark this isn't as spectacular as the grand, monument-filled view onto the river that you'll get when you step into the bar, but even so it's a unique "behind the scenes" aspect on one of London's most atmospheric locations. It's not cheap, but for a one-off treat well worth the hiked up prices. It does get busy but if there's a group of you you can reserve tables in the bar although in many ways standing at the bar, tapping your foot to the jazz, and soaking up the view is a better way to enjoy the experience. River views, jazz piano, cocktails and cool, leather and slate. Oxo Tower Bar & Brasserie clubs, bars, cabaret nights, casinos and interesting nightlife. 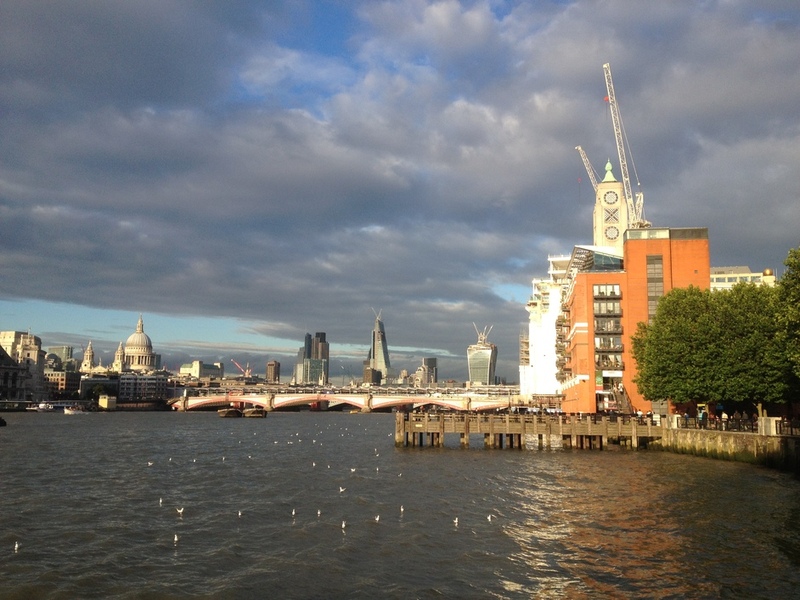 What are the best dining options near Oxo Tower Bar & Brasserie London? Oxo Tower Bar & Brasserie gyms, sporting activities, health & beauty and fitness. The best pubs near London Oxo Tower Bar & Brasserie. Where to have your meeting, conference, exhibition, private dining or training course near Oxo Tower Bar & Brasserie. From cheap budget hotels to luxury 5 star hotels see our deals for Oxo Tower Bar & Brasserie hotels, including Holiday Inn Express London Southwark from 76% off.